Grand River Foods is a Canadian food company that is engaged in processing meat products, primarily chicken. The company’s headquarters are in Ontario, Canada. Grand River Foods’ facility is HACCP-certified and federally approved by the CFIA. This certification is proof that the company’s facility, as well as its operations, follow the strictest standards of food safety. Included in the company’s facility is an on-site laboratory. The laboratory does routine tests every day to make sure that standards are met. Additionally, food scientists continue to create extensive programs to strengthen the company’s high standards of food safety. Grand River Foods also has a fleet of its own trucks, complete with uniformed drivers, to deliver the company’s products at premium quality. The drivers are well trained in the area of temperature control and food handling. In this way, the number of people who handle the food is reduced and thus the possibility for contamination is significantly reduced as well. 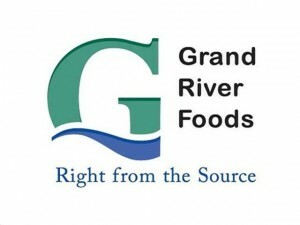 Grand River Foods currently employs more than 500 people in its operations. All employees who work for the company have the expertise and experience necessary to deliver the products that are required by the company’s customers. From line workers who carefully customize products, to food technologists and scientists who have a passion for food, to microbiologists, specialists on animal husbandry, to sales people, all work together and with each other to produce the desired results. The company supplies processed chicken products for different food manufacturing companies. These products are then sold under the customers’ private labels. Before being distributed to customers, they are subject to the highest standard of quality. Today, Grand River Foods has become a trusted supplier when it comes to processed chicken products. The company has also become known as one that is engaged in multi-protein food. With the recent developments and improvements in the company, Grand River Foods strives to prove that they are not just a typical company that processes chicken. Grand River Foods aims to prove that they are a company that creates innovative products, as well as solutions, for both the foodservice industry and the grocery industry in all of North America. Grocery Email Updates - No Junk!